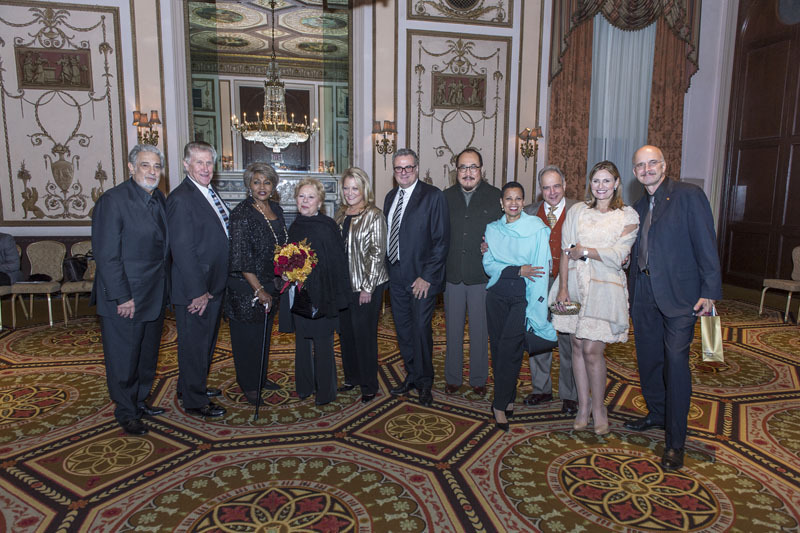 Over 600 opera aficionados — including world renowned performers Martina Arroyo, Marilyn Horne, James Morris, Anna Netrebko, Teresa Stratas and Deborah Voigt — attended the sold-out 81st Annual Metropolitan Opera Guild Luncheon at the Waldorf Astoria on Friday, November 13. 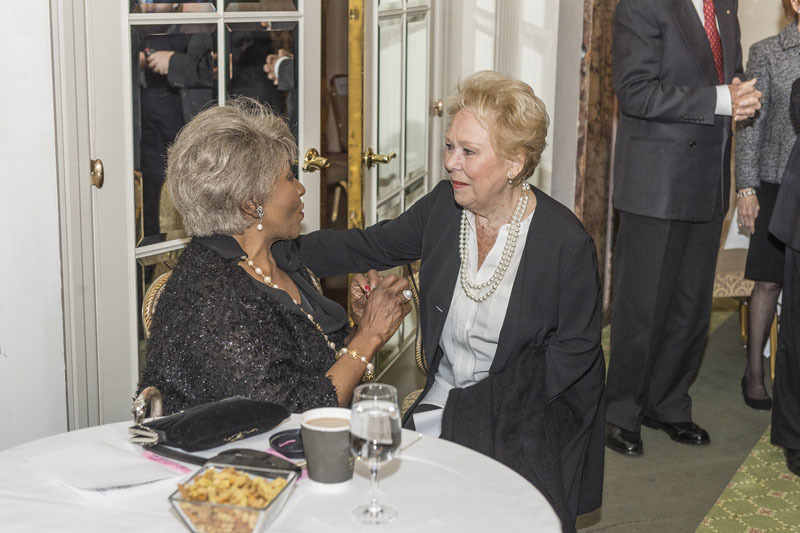 This year’s honorees – Grace Bumbry, Mirella Freni, Sherrill Milnes, and Renata Scotto – were acknowledged for the 50th anniversary of their Met debuts and legendary contributions to the opera community. 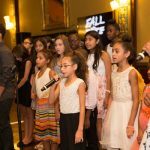 Musical and spoken tributes were delivered by Plácido Domingo, James Levine and Peter Gelb in celebration of this golden anniversary. 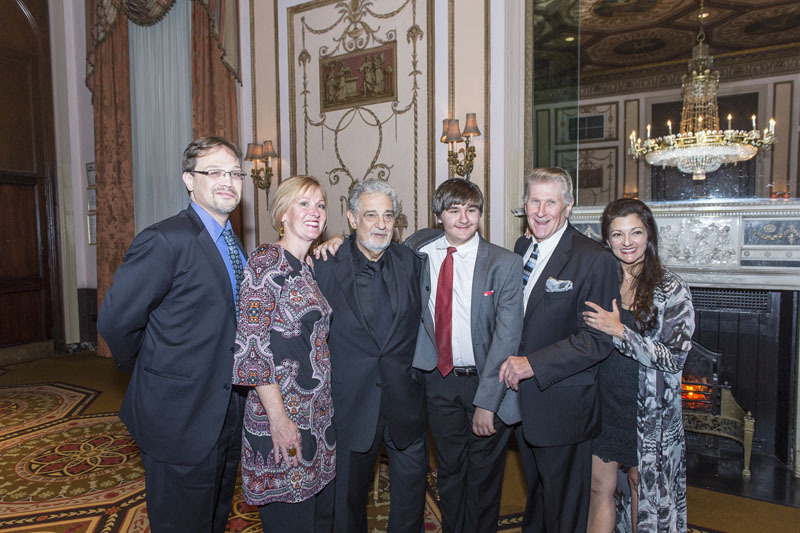 In addition to the incomparable performance delivered by Plácido Domingo and the speeches given by James Levine and Peter Gelb, the luncheon was able to raise $600,000 to benefit the numerous educational programs of The Metropolitan Opera Guild that are designed to enrich student’s lives through an awareness and deeper appreciation of opera. 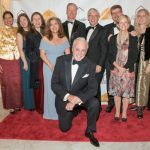 Among the other illustrious attendees: Kelly Foster Shapiro, Director, Media Communications, Rolex USA; Giovanni Mattera, President, de Grisogono Jewelry; Mrs. Schuyler G. Chapin, Diane and Marc Chazaud, Judith-Ann Corrente, Edmée de M. Firth and Nicholas Firth, Carole Bailey French and John French, John Hargraves and Nancy Newcomb, Mrs. Kerryn King, Ellen Marcus, Carol and Richard J. Miller, Jr., Susan F. and William C. Morris, Win and Mary Rutherfurd, Sarah Billinghurst Solomon and Howard Solomon, Langdon van Norden, Jr., and Ann Ziff. 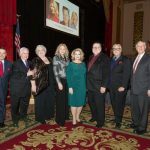 The 81st annual luncheon was sponsored by President’s Circle Sponsor, the Lloyd E. Rigler – Lawrence E. Deutsch Foundation and BNY Mellon Wealth Management. 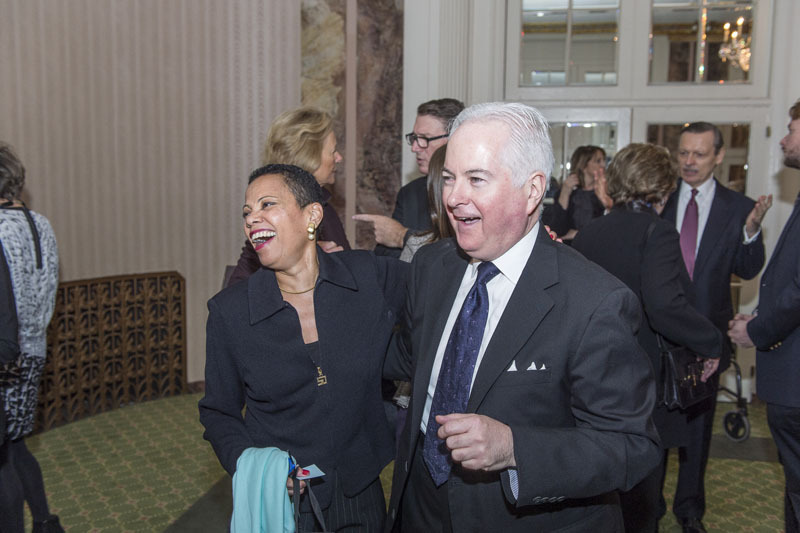 Representatives from both organizations were also present to honor this year’s award winners. 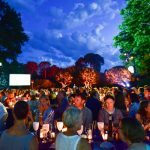 To see ALL photos from this event, please CLICK HERE!